Can I counter essence scatter with Siren Stormtamer ? I like the idea, I would just recommand you add some more cheap instant/sorcery and remove 4 creatures. 4 Adeliz might be too much, it's a legendary so you won't be able to play more than one at the time. Not sure about Spell Pierce but any decent one-drop could do the job. In my opinion you need at least 25/26 instant/sorcery to make it work. OK - very janky, but great fun. I just had to get in on the discussion here. Early lifegain to keep Famished Paladin untapping and giving you some board presence before you get your combo going could come from Fountain of Renewal . If you are going to play Fountain, why not Ajani's Pridemate for an extra win-con? A second option to provide life-link to your Paladin seems like a must and Squire's Devotion seems to do the trick, but I would tend to go with 3 Devotion and 3 Sentinel's Mark . I really feel the need for at least 9 spell counters in the deck. All of the above changes rather cut down on the number of search cards that you can fit in, but so what? they will only get you to your win-con 1 or 2 turns earlier at best. I would go with Shimmer of Possibility as the only search card. 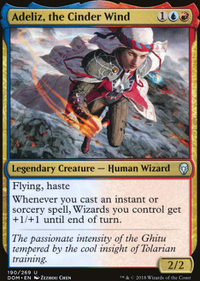 Siren Stormtamer with Adamant Will , or any other card that gives your Paladin indestructible for the turn seem like must-haves in the deck. i think that I would replace Baffling End in your side-board with something like Sheltering Light . That leaves Sorcerer's Wand , which creates your endless loop. We really need to concentrate on protecting the wand - hence the added counter-spells. Murphy77, Thanks for the comments! I debated between Enigma Drake and Crackling Drake and ended up with Cracking Drake because of the Card Draw and ability to benefit from spells in Exile (Chemister's insight after Jump-Start). I also didn't want anything competing with Thief of Sanity at the 3-drop level. I figured Hostage Taker doesn't usually come out the second you have the mana for him, so Crackling Drake can take the 4-slot. I like Siren Stormtamer and Hired Poisoner . I felt the deck needed some protection and Siren would help there. I also considered Dive Down for that. Thoughts on Dive Down? Opt helps the Niv Triggers, which, ultimately, is my primary win con. Aether Tunnel has problems because I run into a lot of removal, and its hard to keep my guys on the field, so a 2 for 1 is rough... I missed Dead Man's Chest . I will add that in during the update with Cast Down . I'll try running it with the smaller creatures, but I may move back if it can't hold things off. 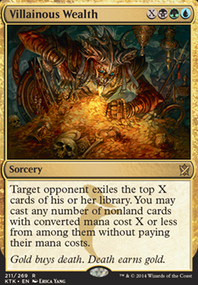 Working on the same steal your opponent's deck principle, I try to bring in Aether Tunnel to get an unblockable Thief of Sanity . 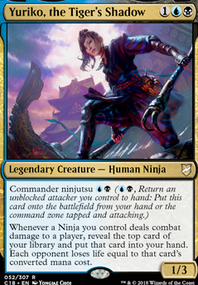 Having a bit more creature hate (creature removal or deathtouch creatures) allows you to target your opponent's strongest creatures with Dead Man's Chest before killing them and stealing multiple cards. Hostage Taker is a bit slow and gives you a once-off partial steal (the cards return to the field if he leaves it). Enigma Drake (reprinted in M19) is cheaper and easier to cast than Crackling Drake . 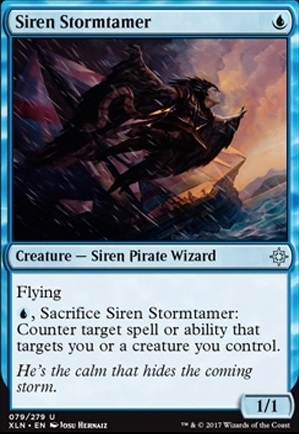 I would look at replacing Crackling Drake , Hostage Taker and Chemister's Insight with Siren Stormtamer , Hired Poisoner and Dead Man's Chest then change out Opt for Aether Tunnel (which is really just one of my favourite cards, that adds a bit less to the deck) or Cast Down . I like the idea, but Hydroid Krasis just doesn't provide the back-up plan that it promises. Your deck just seems a bit janky - if your opponent has lots of creature removal or a strong control element, you just wont get off the ground. Similarly, A quick aggro deck will run over you before you get going. I built a similar deck, but havent played it at an FNM yet. I went with a combination of Biomancer's Familiar , Growth-Chamber Guardian and Incubation Druid to support my Biogenic Ooze . This gives you mana ramp and Familiar allows you to adapt your adapt creatures cheaply and repeatedly. 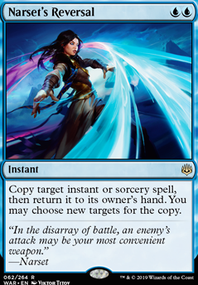 Two other cards that I included are Simic Ascendancy and Siren Stormtamer .